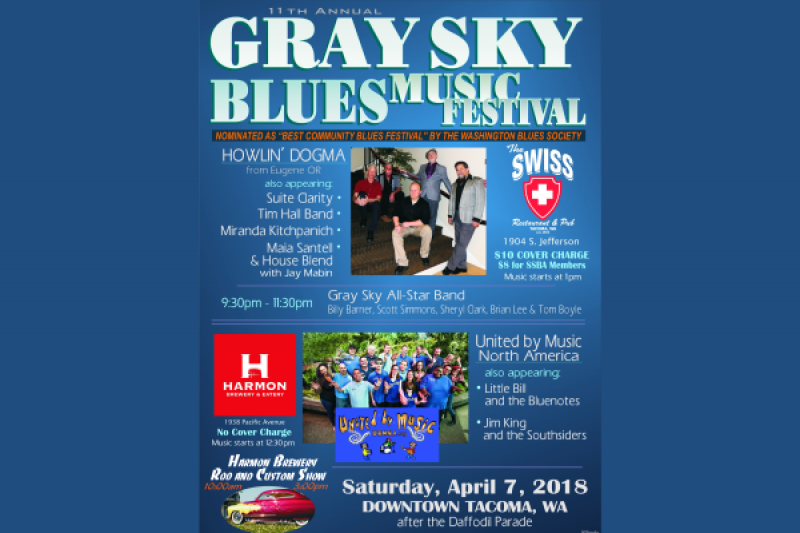 The Gray Sky Blues Festival will be held on April 7th, 2018 at the Swiss Restaurant and Pub & at the Harmon Brewery & Restaurant . The Tacoma Events Commission is a non-profit that produces the Gray Sky Blues Music Festival every year. The event is entirely paid for by the generosity of the people of Washington State. Your generosity has ensured the success of the event for the last eleven years. This year we wanted to make this event even more special and thus added United By Music North America (UBMNA ) to our performers. 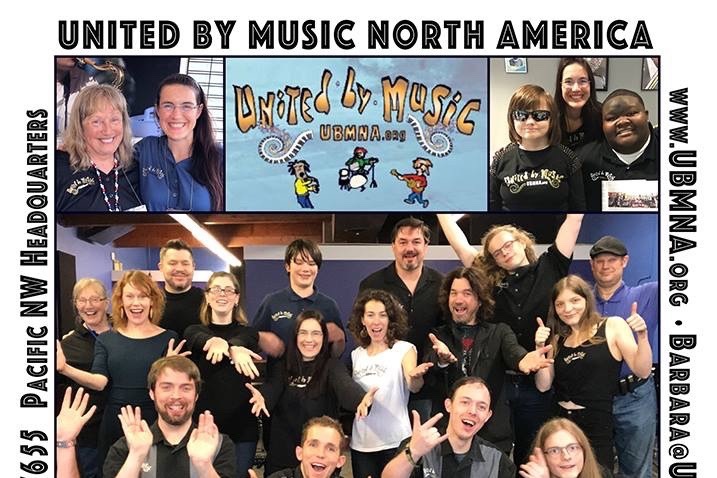 The UBMNA provides programs of study and performance in blues, swing and jazz music for musically talented people with intellectual disabilities here in North America. We started this GoFundMe for the purpose of helping to complete the funding of the entire event as well as provide some support to UBMNA. It would mean so much to see the success of these talented people and help them to continue in helping others. Your donations are what makes this event possible. As the Tacoma Events Commission is a 501(c) (3) non-profit organization (EIN 91-1222063), your donations are tax deductible. When you donate $100.00, you join our "Blues Circle of 100" which will make you an elite member and will provide you four VIP Passes to the April 7th event along with name recognition mentioned throughout the day. In addition, you will receive our official tee-shirt along with your name and business displayed on our website for one year. The best part about your donation is that 20% of every dollar contributed will support the programs and performances of United by Music North America as the group launches it's 6th performance season. After performing world-wide and year round from The Netherlands to Portland OR, this is their first festival show in Tacoma! If you are unable to make the $100 donation, any amount to include $10, $20 $50, would be very much appreciated. You can learn more about the event at www.tacomaevents.com and about United by Music North America at www.UBMNA.org. Please help us complete the funding for this great event and support United by Music North America. We need all donations by April 6th.